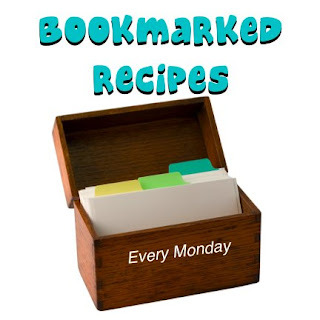 I'm back from Tech Camp now - we had a fantastic time and you can check out some of what we were up to and created here - but for now I'll get on with this week's round up of Bookmarked Recipes. Joelen of Joelen's Culinary Adventures fame has made one of her bookmarked recipes - Caramelized Tofu using a recipe from 101 cookbooks. I've never had tofu and have to admit I am a little nervous about using it but Joelen may just have coaxed me with this one! Arika from My Yummy Life is a newbie to bookmarked recipes and brings Asian Pork Pancakes with Scallions and Thai Chili Sauce to us from Food makes me Happy. How delicious does that sound!?!?1?!?! I was watching an Asian cookery show tonight and now seeing this has sent me over the edge... I may just have to change dinner. 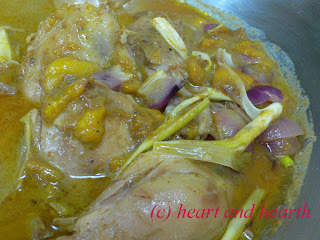 Ning from Heart and Hearth is back and this time has made Chicken Curry with Mango using Wandering Chopstick's Recipe. I love curries and the mango sounds like a perfect addition! Great recipe! Pam from Sidewalk Shoes has made a truly beautiful dish - Ancho Chile-Brown Sugar Rubbed Wild Salmon with Grilled Corn Relish. Doesn't it look fantastic? Not only that it sounds fantastic! Thanks to Feeding Groom for the recipe! Tina from Wycked Sweets enjoyed bookmarked recipes so much last week she's back with another entry - Spicy Honey-Brushed Chicken Thighs using a Cooking Light recipe. A version of this has been in my bookmarks for a while now, so after seeing this I may just bump it up the list to make it sooner! 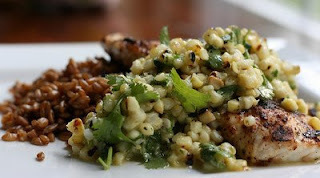 Elly from Elly says Opa!, one of my favourite blogs, is making a bookmarked recipe this week and has recreated a Bobby Flay recipe - Tangerine Maple Glazed Chicken Thighs - doesn't the sound of ti just make your mouth water!!!! Love it! Elizabeth from Cake or Death has recreated another recipe from the LA Times - maybe I need to start looking these up myself! 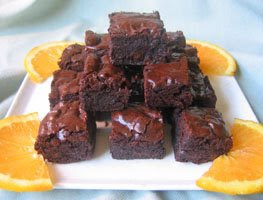 These Chocolate-Orange Brownies look soooo good, it'd be hard to just eat one I'm sure! Becke of Columbus Foodie is back with some Spring pea and asparagus soup using The Gracious Bowl's recipe. Soup is something I've yet to master so I always admire people who can make beautiful soups like this one - great work Becke! Again this week has been consumed by running Tech Camp for me but I'll be making something this week for sure!!!! You're welcome Arika! Thanks for taking part. You make me blush Rosie! Thank you!